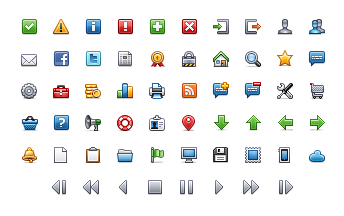 Web Site Icons for Webmasters, Search Engine Optimizers, UI Designers, and Internet Marketing Professionals by Stat Centric Analytics. Icons can be a key part of a successful site marketing and visitor loyalty strategy. Improve the marketability of your products and services with these clear, crisp images. All graphics are provided with transparent backgrounds, allowing their use in web sites, applications, and other marketing materials.